Draft: 2010, Tampa Bay Rays, 6th rd. Full name is Jesse Allen Hahn…resides in Groton, Conn., with wife, Jessica...Graduated from Fitch High School (Conn.), where he also played basketball for two years and football for one…in 40.0 innings pitched as a senior, went 5-1 with 65 strikeouts (14.6 K/9) and just six walks, with one no-hitter and three one-hitters…set a state record by posting a 0.17 ERA (min. 35.0 IP)…earned Pitcher of the Year, all-state, all-area and All-Eastern Connecticut Conference honors...Attended Virginia Tech, where he pitched three seasons for the Hokies…enjoyed his best season as a junior (2010), going 5-4 with a 3.70 ERA in 13 starts. Did not pitch in the Major Leagues after suffering a sprained ulnar collateral ligament (UCL) during spring training…placed on the 60-day disabled list on March 6...Made six appearances across three rehab assignments in July and August, tossing 6.0 scoreless innings, allowing four hits, two walks and four strikeouts...Acquired by the Royals with RHP Heath Fillmyer from Oakland in exchange for LHP Ryan Buchter, INF/OF Brandon Moss and cash considerations, Jan. 29. Went 1-2 despite a 2.74 ERA (13 ER in 42.2 IP) over his first seven appearances (six starts), including a loss at Kauffman Stadium on April 13 with Oakland, in which he allowed three runs on six hits in 6.0 innings, with a seasonhigh seven strikeouts ... Allowed nine runs (eight earned) over his next two starts (7.0 IP) before being placed on the 10-day DL on May 27 with a strained right triceps ... Made one rehab start at Stockton (A), before returning to Oakland on June 6…held Toronto to one unearned run over 6.0 innings in a 4-1 win the same day, but went 1-2 with a 12.86 ERA (20 ER in 14.0 IP) over his next four starts ... Optioned to Nashville (AAA) on July 2, where he went 2-0 with a 4.32 ERA (12 ER in 25.0 IP) in six appearances (five starts) to end the season ... Recorded 8.0 shutout innings on April 25 at the Angels, allowing just one hit and two walks, but got the no-decision in a 2-1 A's loss in 11 innings…became first A's pitcher to get a no decision despite throwing at least 8.0 scoreless innings and one or zero hits ... Held opponents to just four home runs in 69.2 big league innings…no AL pitcher allowed fewer HR in more innings…had a streak of 49.2 consecutive innings in the Majors without allowing a HR, from the sixth inning on April 19 through the first inning on June 22. Had four separate stints with the A's and went 2-4 with a career-high 6.02 ERA in nine starts…also had career highs in opponents batting average (.313), on-base percentage (.376) and slugging percentage (.484)…allowed a career-high eight home runs in 46.1 innings (1.55 per nine innings) after surrendering nine home runs in 170.0 innings over his first two seasons (0.48 per nine innings)…struck out just 23 batters (4.47 per nine innings) and walked 19 for a strikeout-to-walk ratio of 1.21, which was the lowest in the American League and fifth lowest in the majors among pitchers with 40 or more innings pitched… his opponents batting average included a mark of .273 (27-for-99) against right-handed hitters comparedto .361 (30-for-83) against left-handers…surrendered seven of his eight home runs to lefties and had a .663 slugging percentage against lefties, .333 against righties…his career splits are .211 (85-for-402) against righties, .281 (117-for-416) with 14 of his 17 home runs against lefties…has a .438 career slugging percentage against lefties, .274 against righties…had a .226 opponents average over his first 30 pitches in a game, .358 after that…opponents hit .426 with a .449 on-base percentage and .681 slugging percentage when leading off an inning…in 2015, his marks were .215, .277 and .290 respectively…allowed a .324 batting average with runners in scoring position, including .500 with RISP and two outs…five of the eight home runs he surrendered were solo shots…yielded a .300 average with two strikes and a .440 average to the first hitter in the batting order…went 2-1 with a 3.03 ERA and .237 opponents batting average in five starts at home, 0-3 with a 13.17 ERA and .453 opponents average in four starts on the road…in two seasons with the A's, he is 5-4 with a 3.06 ERA (32 er in 94.0 ip) in 15 starts in Oakland, 3-6 with a 6.43 ERA (35 er in 49.0 ip) in 10 starts on the road…was 2-1 with a 3.90 ERA and .234 opponents average in five starts during the day, 0-3 with a 9.92 ERA and .427 opponents average in four starts at night…his career splits are 8-3 with a 2.31 ERA (24 er in 93.1 ip) in 15 day games, 7-11 with a 4.98 ERA (68 er in 123.0 ip) in 24 night games…opponents were successful in each of their seven stolen base attempts off him after going 5-for-9 (55.6%) over his first two seasons…the A's were 5-4 (.556) in his starting assignments…tossed more than six innings in just three of his nine starts…has done that in just 11 of 37 starts in his career…the bullpen blew a save in three of his nine starts. Went 6-6 with a 3.35 ERA in 16 starts in his first season with Oakland, a campaign that was cut short due to an injury…got off to a slow start as he went 1-4 with a 4.43 ERA over his first eight starts through May 20…then tossed a four-hit shutout May 25 against Detroit and went 5-2 with a 2.42 ERA over his final eight starts…was placed on the disabled list July 11 retroactive to July 6 with a right forearm strain and missed the remainder of the season…yielded just five home runs in 96.2 innings, an average of 0.47 per nine innings…that was the lowest mark in the American League among pitchers with 90 or more innings pitched…using the same minimum, he also ranked third in the AL in opponents slugging percentage (.324) and fifth in OPS (.623)…has now surrendered nine home runs in 170.0 career innings (0.48 per nine innings)…six of those nine home runs have come with runners on base…opponents reached base on an error 14 times, which was the most in the majors, despite missing half of the season…it tied for second most by an A's pitcher over the last 29 years to Tim Hudson's 15 in 2001… tied for fifth in the AL in unearned runs allowed (10)…allowed a .238 opponents batting average, which included a .185 (33-for-178) mark against right-handed hitters compared to .286 (55-for-192) against left-handers…now has a .191 (58-for-303) career average against righties…has surrendered seven of his nine career home runs to lefties…yielded a .215 batting average, .277 on-base percentage and .290 slugging percentage to batters leading off an inning…however, opponents hit .318 with runners in scoring position.…surrendered three of his five home runs in the sixth inning when he had an 8.74 ERA…had a 2.64 ERA in all other innings…went 4-1 with a 1.52 ERA and .169 opponents batting average in six starts during the day compared to 2-5 with a 4.72 ERA and .284 opponents average in 10 starts at night… his career numbers are 6-2 with a 1.56 ERA (11 er in 63.1 ip) during the day, 7-8 with a 4.22 ERA (50 er in 106.2 ip) at night…went 5-4 with a 2.94 ERA in 10 starts on four days rest, 1-2 with a 4.18 ERA in six starts on five days rest or more…is 9-4 with a 2.81 ERA (30 er in 96.0 ip) in 15 career starts on four days rest compared to 4-5 with a 3.69 ERA (29 er in 70.2 ip) in 13 starts on five days rest or more…was 2-0 with a 1.42 ERA in two starts against National League competition and is now 3-1 with a 1.78 ERA (5 er in 25.1 ip) in four career interleague starts…walked two batters or fewer in 14 of his 16 starts but tossed six innings or fewer 11 times…has tossed more than six innings in just eight of his 28 career starts. Spent the majority of the season with Single-A Charlotte in the Rays organization, making 20 starts total and going 2-1 with a 2.09 ERA (16 ER, 69.0 IP) with 67 strikeouts against 18 walks...Named a Florida State League mid-season All-Star...Began the season with Single-A Charlotte and made 19 of his 20 starts for the Stone Crabs, outside of one rehab start for the organization's Rookie-Level Gulf Coast League affiliate...Over his 19 starts for Charlotte, allowed a .218 (55-for-252) opponent average…allowed just one home run over his 67.0 innings and 19 starts for the Stone Crabs. Made his professional debut with Single-A Hudson Valley with 14 starts for the Renegades...Named New York-Penn League pitcher of the week for back-to-back weeks ending in August 20 and August 27. Missed the entire season while recovering from Tommy John surgery on his right elbow. Signed by the Rays as a sixth-round selection out of Virginia Tech University before undergoing Tommy John surgery on his right elbow...Tommy John surgery performed by Dr. James Andrews in August 2010. 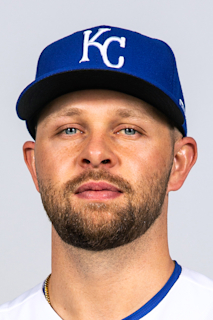 February 13, 2019 Kansas City Royals placed RHP Jesse Hahn on the 60-day injured list. Recovering from Tommy John surgery. November 2, 2018 Kansas City Royals activated RHP Jesse Hahn from the 60-day disabled list. August 7, 2018 Kansas City Royals sent RHP Jesse Hahn on a rehab assignment to Omaha Storm Chasers. July 24, 2018 Kansas City Royals sent RHP Jesse Hahn on a rehab assignment to Northwest Arkansas Naturals. July 18, 2018 Kansas City Royals sent RHP Jesse Hahn on a rehab assignment to AZL Royals. March 6, 2018 Kansas City Royals placed RHP Jesse Hahn on the 60-day disabled list. Right ulnar collateral ligament sprain. October 2, 2017 Oakland Athletics recalled RHP Jesse Hahn from Nashville Sounds. September 1, 2017 Nashville Sounds activated RHP Jesse Hahn from the 7-day disabled list. August 5, 2017 Nashville Sounds placed RHP Jesse Hahn on the 7-day disabled list. July 2, 2017 Oakland Athletics optioned RHP Jesse Hahn to Nashville Sounds. June 6, 2017 Jesse Hahn roster status changed by Oakland Athletics. May 31, 2017 Oakland Athletics sent RHP Jesse Hahn on a rehab assignment to Stockton Ports. May 27, 2017 Oakland Athletics placed RHP Jesse Hahn on the 10-day disabled list retroactive to May 24, 2017. Right triceps strain. April 5, 2017 Oakland Athletics recalled RHP Jesse Hahn from Nashville Sounds. March 26, 2017 Oakland Athletics optioned RHP Jesse Hahn to Nashville Sounds. October 3, 2016 Oakland Athletics recalled Jesse Hahn from Nashville Sounds. September 1, 2016 Oakland Athletics optioned RHP Jesse Hahn to Nashville Sounds. September 1, 2016 Oakland Athletics activated RHP Jesse Hahn from the 15-day disabled list. August 30, 2016 Oakland Athletics sent RHP Jesse Hahn on a rehab assignment to Nashville Sounds. August 16, 2016 Oakland Athletics sent RHP Jesse Hahn on a rehab assignment to Nashville Sounds. August 5, 2016 Jesse Hahn roster status changed by Oakland Athletics. August 4, 2016 Oakland Athletics recalled RHP Jesse Hahn from Nashville Sounds. July 25, 2016 Oakland Athletics optioned RHP Jesse Hahn to Nashville Sounds. July 24, 2016 Oakland Athletics recalled Jesse Hahn from Nashville Sounds. June 10, 2016 Oakland Athletics optioned RHP Jesse Hahn to Nashville Sounds. May 17, 2016 Oakland Athletics recalled Jesse Hahn from Nashville Sounds. May 8, 2016 Oakland Athletics optioned RHP Jesse Hahn to Nashville Sounds. April 30, 2016 Oakland Athletics recalled Jesse Hahn from Nashville Sounds. March 29, 2016 Oakland Athletics optioned RHP Jesse Hahn to Nashville Sounds. November 3, 2015 Jesse Hahn roster status changed by Oakland Athletics. September 1, 2015 Oakland Athletics transferred RHP Jesse Hahn from the 15-day disabled list to the 60-day disabled list. Strained right forearm. July 11, 2015 Oakland Athletics placed RHP Jesse Hahn on the 15-day disabled list retroactive to July 6, 2015. Strained right forearm. August 30, 2014 San Diego Padres recalled RHP Jesse Hahn from San Antonio Missions. August 19, 2014 San Diego Padres optioned RHP Jesse Hahn to San Antonio Missions. July 25, 2014 San Diego Padres recalled Jesse Hahn from El Paso Chihuahuas. July 22, 2014 RHP Jesse Hahn assigned to El Paso Chihuahuas from San Antonio Missions. July 21, 2014 RHP Jesse Hahn assigned to San Antonio Missions from El Paso Chihuahuas. July 12, 2014 San Diego Padres optioned RHP Jesse Hahn to El Paso Chihuahuas. June 14, 2014 San Diego Padres recalled Jesse Hahn from San Antonio Missions. June 4, 2014 San Diego Padres optioned RHP Jesse Hahn to San Antonio Missions. June 3, 2014 San Diego Padres recalled Jesse Hahn from San Antonio Missions. May 17, 2014 San Antonio Missions activated RHP Jesse Hahn from the 7-day disabled list. May 12, 2014 San Antonio Missions placed RHP Jesse Hahn on the 7-day disabled list retroactive to May 9, 2014. March 23, 2014 San Diego Padres optioned RHP Jesse Hahn to San Antonio Missions. November 20, 2013 Tampa Bay Rays selected the contract of Jesse Hahn from Charlotte Stone Crabs. September 10, 2013 Jesse Hahn roster status changed by Charlotte Stone Crabs. August 26, 2013 Charlotte Stone Crabs sent RHP Jesse Hahn on a rehab assignment to GCL Rays. April 3, 2013 RHP Jesse Hahn assigned to Charlotte Stone Crabs from Hudson Valley Renegades. June 15, 2012 Jesse Hahn assigned to Hudson Valley Renegades from GCL Rays. October 5, 2010 Jesse Hahn roster status changed by GCL Rays. August 17, 2010 RHP Jesse Hahn assigned to GCL Rays. August 16, 2010 Tampa Bay Rays signed RHP Jesse Hahn.